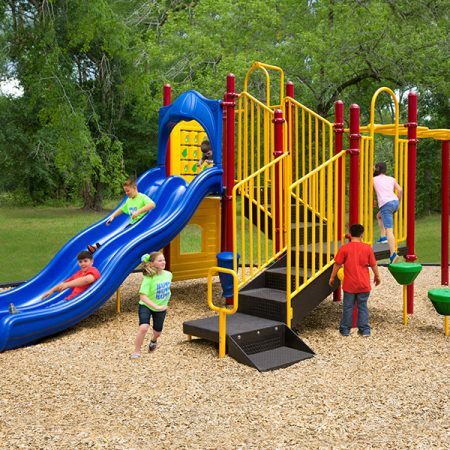 The Santa Cruz play structure is truly a diamond in the rough when it comes to play structures. 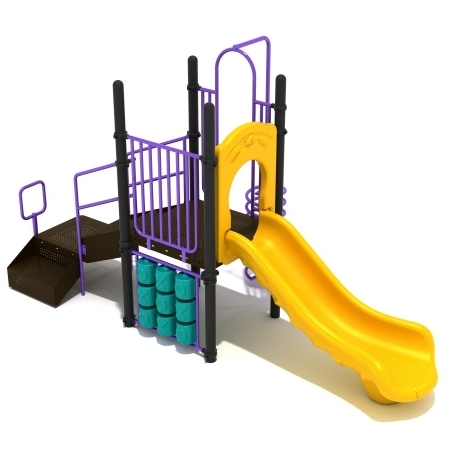 Children can use stairs or a pebble climber to access the elevated platforms that make up this play structure. 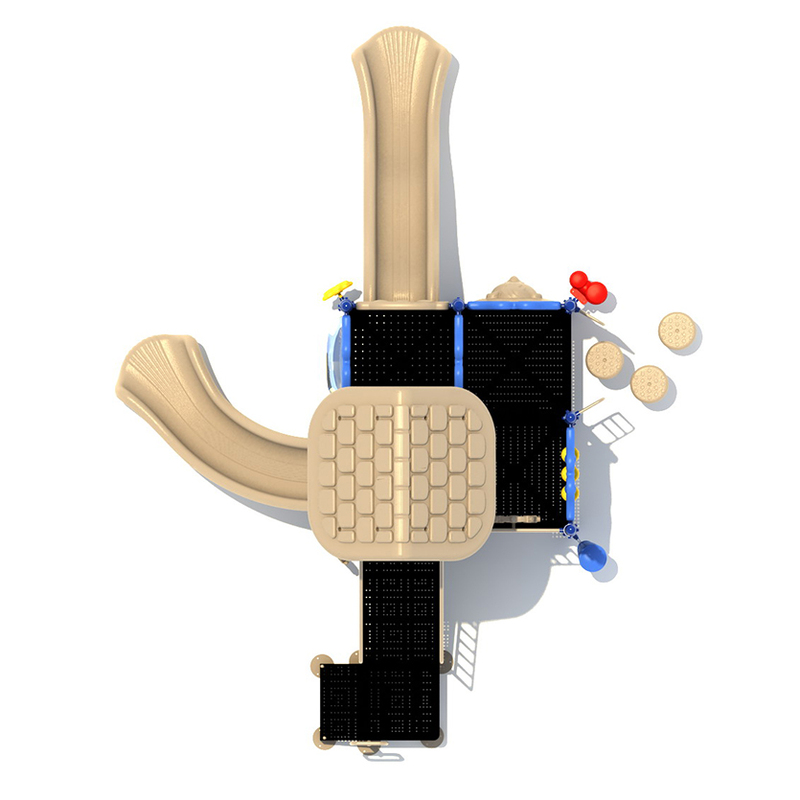 Once on the elevated platforms children can play with a tic tac toe panel, a ship’s wheel which it attached to a metal barrier, a bear panel, and a bubble panel that border the elevated platforms. 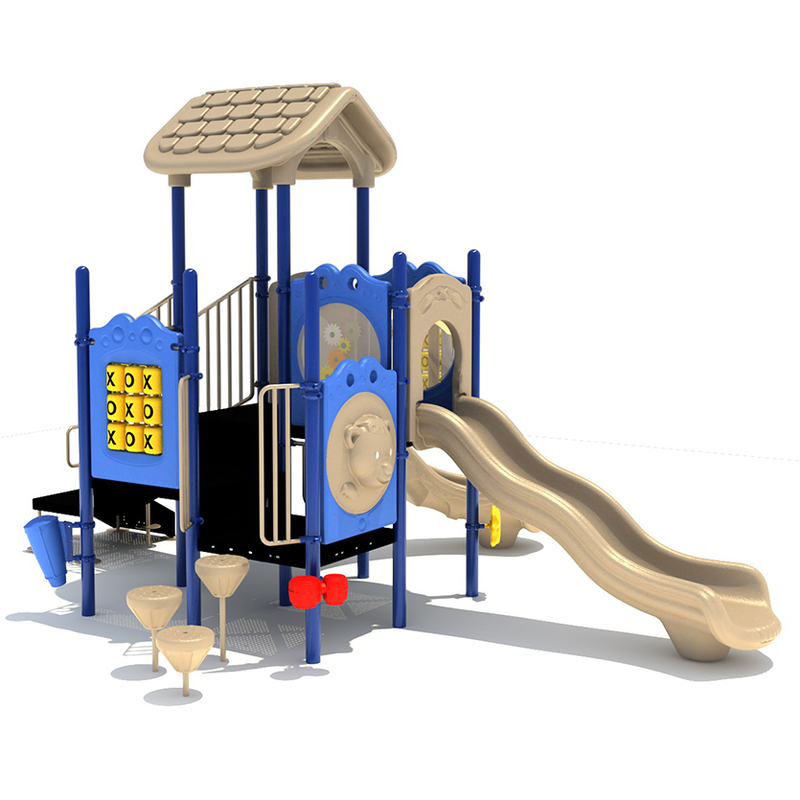 The Santa Cruz play structure is truly a diamond in the rough when it comes to play structures. 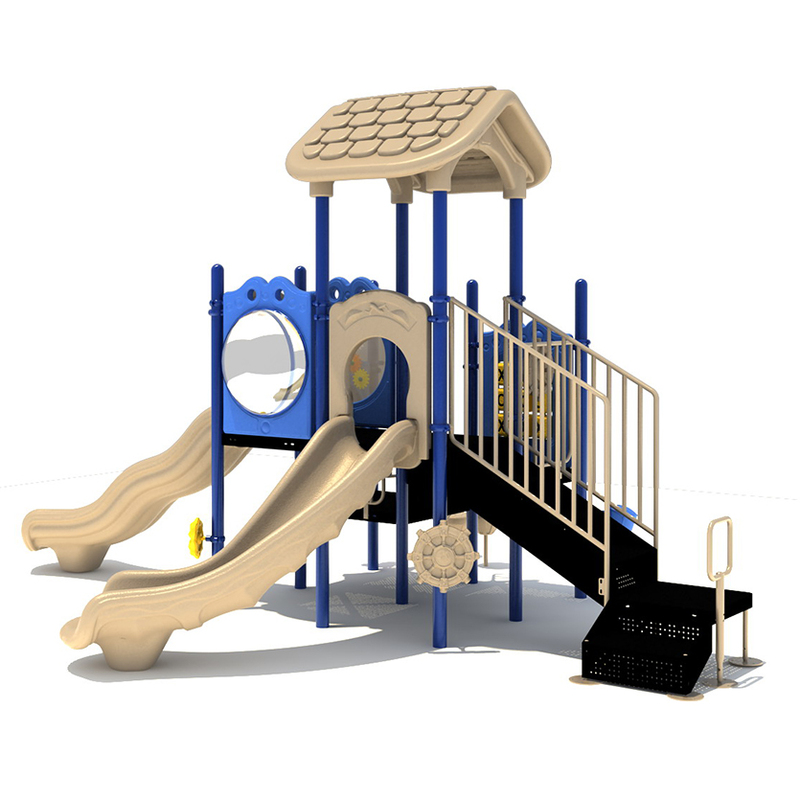 Children can use stairs or a pebble climber to access the elevated platforms that make up this play structure. 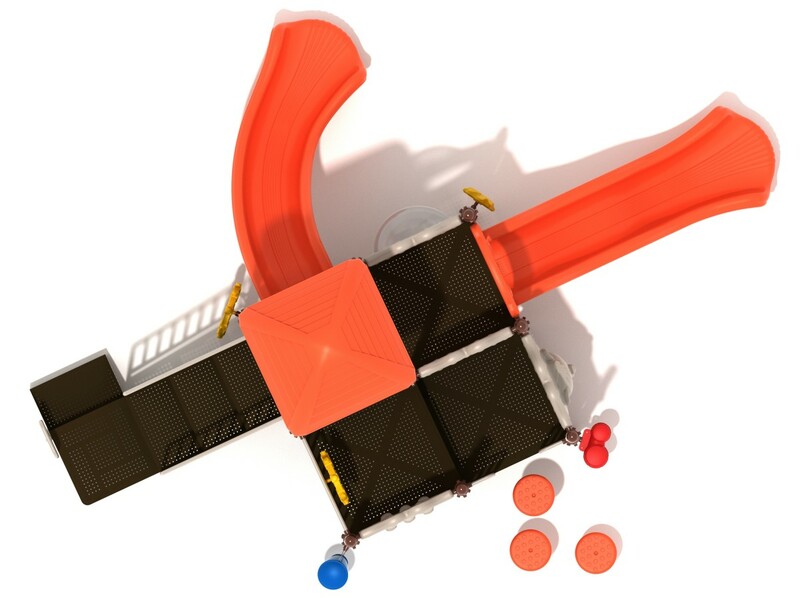 Once on the elevated platforms children can play with a tic tac toe panel, a ship’s wheel which it attached to a metal barrier, a bear panel, and a bubble panel that border the elevated platforms. 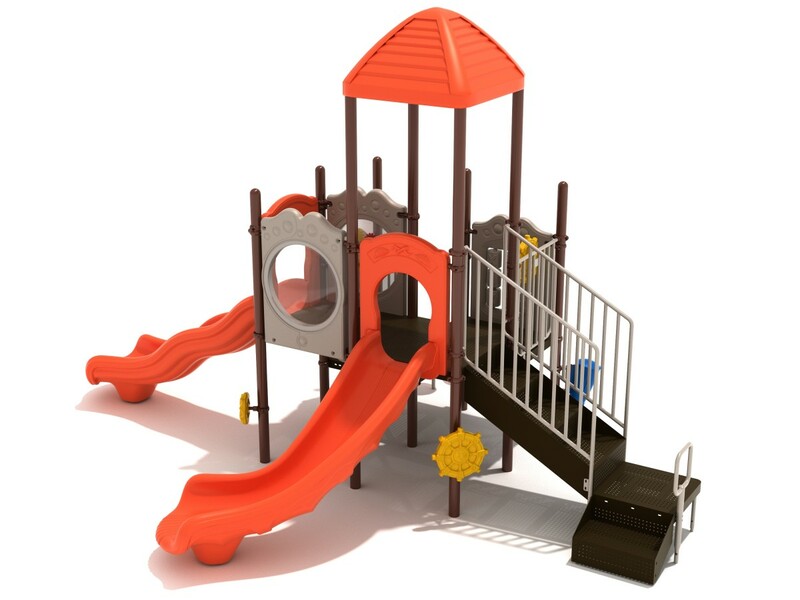 A wave slide and a right turn slide give children a fun option to slide off the play structure. 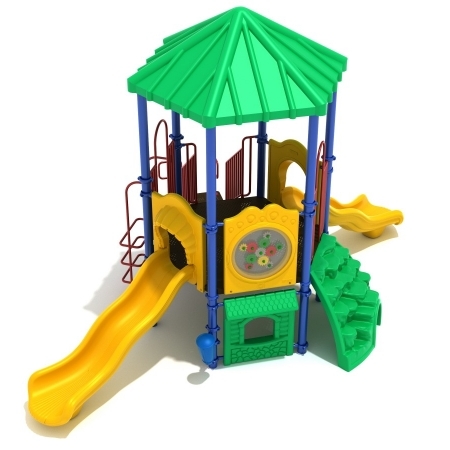 A rain wheel, a ship’s wheel, a single drum, and bongos found around the ground level provide opportunities for on-ground play, and also make the Santa Cruz play structure ADA compliant. 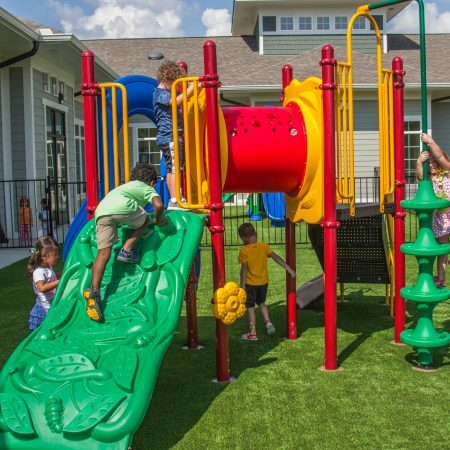 A kid’s roof over part of the play structure provides shade and protection from the sun for children playing on the play structure during sunny days. 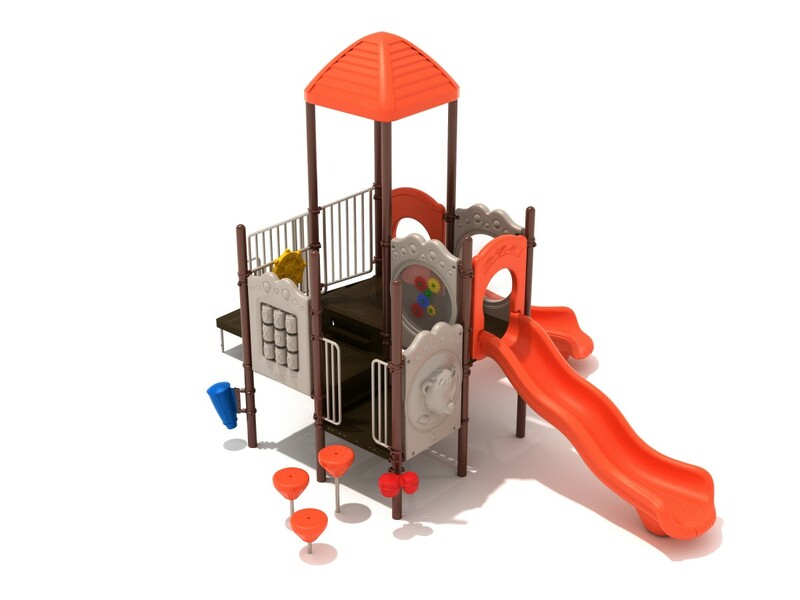 This play structure is designed for children between the ages of 2 and 12 years old.